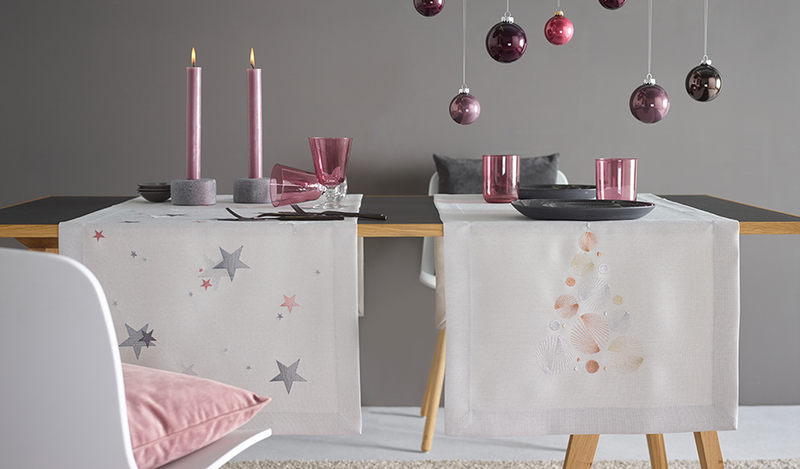 Decorative elements: spruce up your home with Christmas embroideries. Diverse, decorative stitch patterns such as cute gloves, classic garlands or stylised Christmas trees make for a cheerful festive mood. 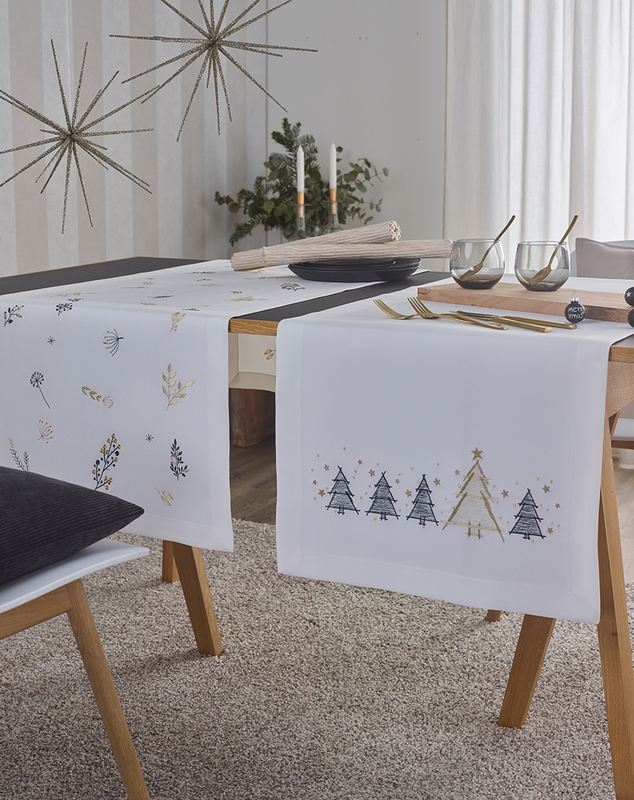 The range of products includes table linen in classic formats through decorative star-shaped or circular table cloths to pretty bags as gift packaging. Versatile and festive.